We had two visitors join us this period: Cliff Darnall and Courtney Lavand. Though unplanned, the theme of our Period 7 observations was activating background knowledge. 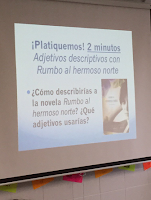 In both Lindsey Bucciarelli's Human Geography class and Señora Carmen Ruiz-Bergman's AP Spanish class, we observed numerous methods of brainstorming to initiate discussions. 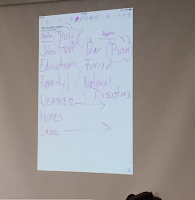 In Human Geography, we saw students developing lists in Notability of why people migrate. There are the "Pushes" and "Pulls" of why people leave home or come to a desired land/country. 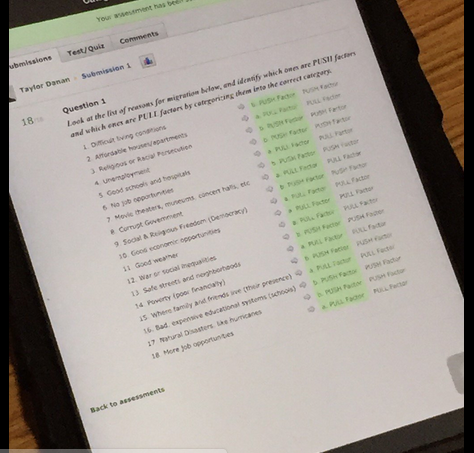 Students also took a matching quiz on Schoology to ensure student understanding of these various push/pull factors. Then, students watched a 5 minute video clip summarizing the situation in Syria. After the video, students were going to work on a Jigsaw in pairs to explore the different elements of migration. 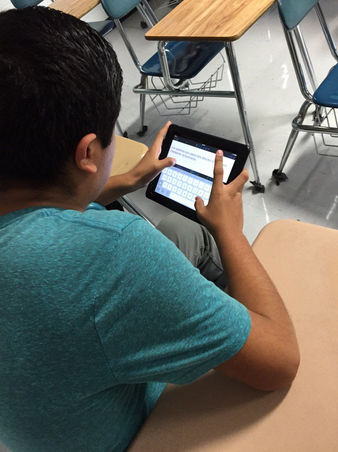 In AP Spanish, we observed students exploring the facts of Halloween vs. Día de los muertos. 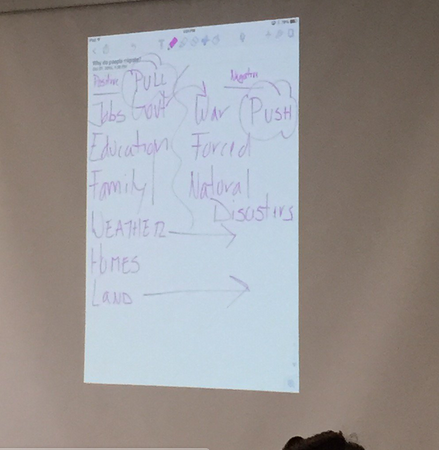 Students were watching a video describing some of the rituals of both celebrations and then were going to write a persuasive essay where they had to choose one day to celebrate. 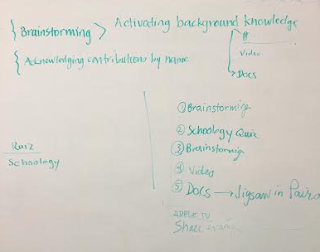 Following the observations, we discussed the different methods both teachers used to activate students' background knowledge on the subject manners. 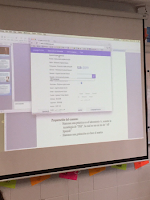 We also talked about the use of Schoology and Notability to record (both written and verbal) student learning. Matt Bohnenkamp joined our group for observing Sr. Burrier-Sanchis and Lindsey Bucciarelli. 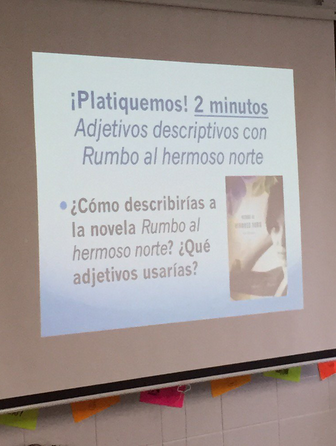 In Sr. Burrier-Sanchis's AP Spanish Literature class, they were discussing the novel Into the Beautiful North. Students were discussing various adjectives that they could use to describe the novel. 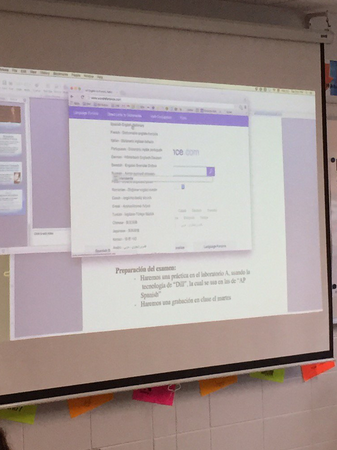 Following the quick discussion in pairs, Sr. Burrier-Sanchis showed students the website wordreference.com to use as a thesaurus for multiple languages. 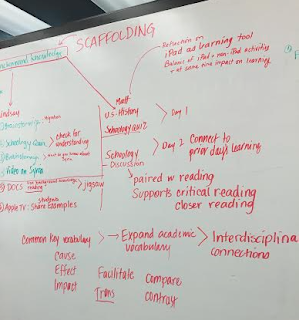 Observations in both classes sparked great brainstorming sessions about scaffolding and other connections on the CollabLab's dry erase wall! Stop on down to check it out and add more ideas!